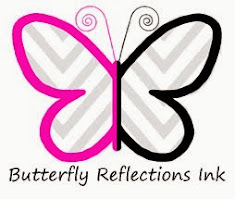 Welcome to today's edition of the Butterfly Reflections, Ink blog! It's Janette here and it has simply been too long since I've said paid a visit to my dear friends on the BRInk! Helloooo! 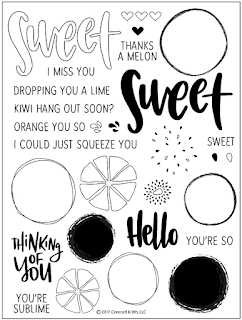 I am super excited to be sharing with you the Orange You Sweet stamp set from Concord & 9th. Not only is the set super cute and I made a video tutorial for you, but guys - we are orange growers here in central California! 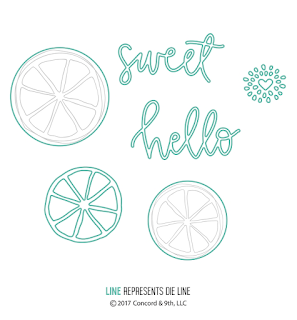 My husband is a 4th generation citrus grower. This is in our blood. You know I had to have this set as soon as it was humanly possible! Oh yes, and there are dies too! Create shimmery dreamy background by scribbling Spectrum Noir Sparkle Pens and blending with clean clear water. I used Moonstone, Soft jade, Aquamarine and Blue topaz. 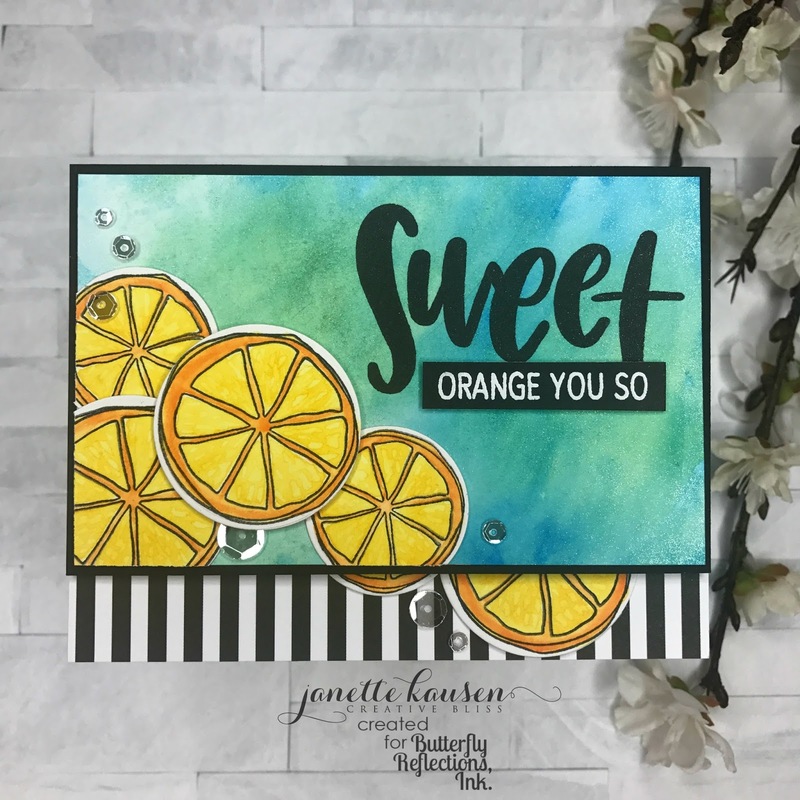 Stamp orange slices with waterproof ink and color with Zig Clean Color Real Brush Markers. I used Yellow and Bright Yellow. Once Zigs are dry, use clean clear water on a paint brush to lightly touch segments to add a textured effect. Adhere to shimmer panel popping up one orange with dimensional adhesive. 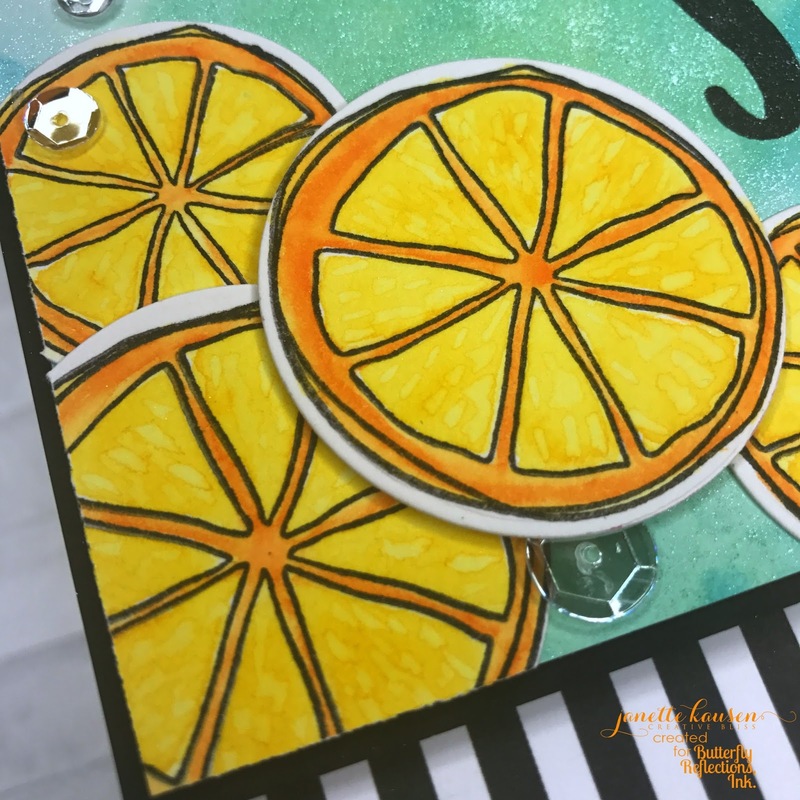 Trim oranges to along shimmer panel. Mat panel to black cardstock adhering with liquid glue for just a slight bit of wiggle room for precise application. 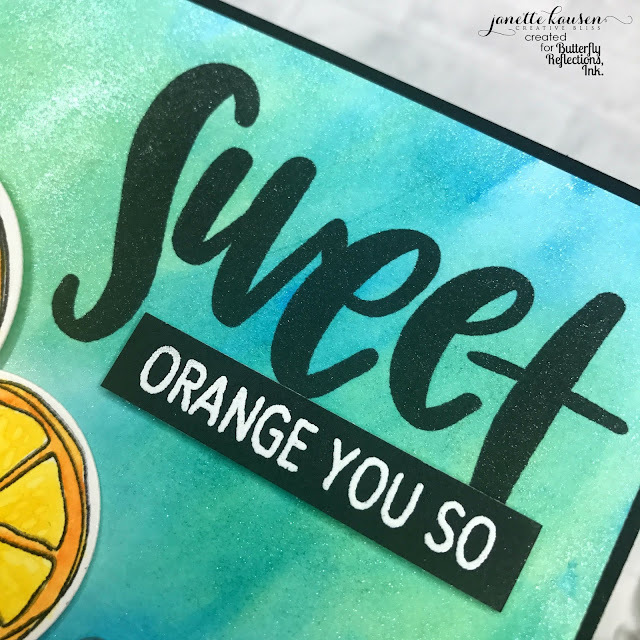 Stamp "Sweet," heat emboss and adhere "Orange You So" strip. Add fun foam or dimensional adhesive to back of shimmer panel. Adhere striped paper to A2 folded card base. Mount one orange, matching it's lines, to the back of the shimmer panel and one to striped area. Adhere shimmer panel to card base aligning at top. Add clear sequins for the final touch. If you are a more visual person and would like to see the card made, we got you covered!